Every Year on 4 April International Day for Mine Awareness and Assistance in Mine Action is observed to spread the awareness about the threat caused by landmines to the safety, health and lives of civilian populations and encourages state Governments to develop mine clearing programmes. It was first observed on 4 April, 2006. South Korea will launch the world’s first fully-fledged 5G mobile networks on 5th April 2019. Until now, no mobile networks have offered nationwide 5G access. On April 05, 2019 all three of South Korea’s mobile networks namely KT, SK Telecom and LG UPlus will go live with their 5G services. Japan is expected to roll out a limited deployment in 2019 before full services start in time for next year’s Tokyo Olympics. The training is being imparted to achieve the goal of‘training for all’. The Supreme Court struck down a Reserve Bank of India (RBI) circular that gave defaulting companies 180 days to agree on a resolution plan with lenders or be taken to bankruptcy court to recover debt of Rs. 2,000 crore and above. The bench said the February 12, 2018, circular was beyond the scope of the RBI’s powers. The decision was taken by a two-judge bench headed by RF Nariman. Recent policy measures by the government to improve the investment climate and boost private consumption and investment will help India to lift economic growth in the next two fiscal years. India will remain one of the fastest-growing major economies in the world this year given strong household spending and corporate fundamentals. The current account deficit is expected to widen a bit to 2.4% of GDP in FY2020 and 2.5% of GDP in FY2021. 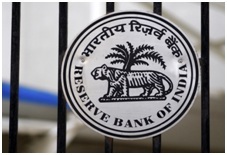 The Reserve Bank of India (RBI) will inject long-term liquidity worth USD 5 billion into the banking system through dollar-rupee buy-sell swap for a tenure of three years on April 23, the second such auction within a month. The swap will be in the nature of a simple buy/sell foreign exchange swap from the Reserve Bank side. Under the swap, a bank would sell US dollars to the RBI and simultaneously agree to buy the same amount of US dollars at the end of the swap period. The minimum size of each bid should be USD 10 million and in multiples of USD 1 million thereafter. Reverse repo rate under the LAF stands adjusted to 5.75 per cent, and the marginal standing facility (MSF) rate and the Bank Rate to 6.25 per cent. 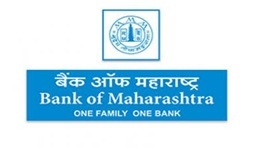 State-owned Bank of Maharashtra stated that the government has infused Rs. 205 crore into the bank in lieu of preferential allotment of shares. The World Trade Organization forecast that the Global trade growth is expected to be lower in 2019 than it was last year. In its forecast report in September 2018, the WTO had lowered the global 2018 and 2019 trade growth to 3.9 and 3.7 percent, respectively. India’s International center for Automotive Technology (ICAT) will organize a NuGen Mobility summit 2019 in November. The summit would be held at Manesar, falling in the national capital region (NCR) of Indian capital – New Delhi from November 27 to 29. 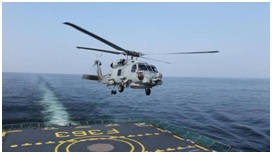 These choppers are considered as the world’s most advanced maritime helicopter. It will provide the Indian defence forces with the capability to perform anti-surface and anti-submarine warfare missions. MH-60 Romeo Seahawk helicopters have been designed and manufactured by Lockheed Martin for hunting submarines as well as knocking out ships and conducting search-and-rescue operations at sea. 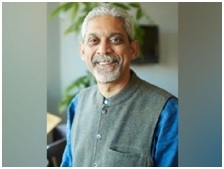 Prof Vikram Patel has been awarded 2019 John Dirks Canada Gairdner Global Health Award for his world-leading research in global mental health, generating knowledge on the burden and determinants of mental health problems in low-and-middle-income countries and pioneering approaches for the prevention and treatment of mental health in low-resource settings. Laureates receive a $100,000 cash honorarium and will be formally presented with their awards on October 24, 2019, at the annual Canada Gairdner Awards Gala in Toronto. Dr Pawan Munjal, Chairman of Hero MotoCorp – the world’s largest manufacturer of motorcycles and scooters – was felicitated by the Asian Tour with a Special Achievement Award for his contributions to Asian Golf. 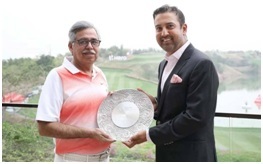 At the ceremony, leading Indian golfer Shiv Kapur presented a special salver to Dr Munjal. The idea is to ensure that players are better educated about the corruptors and Interpol’s vast network would be helpful in this. Tata Power has signed a pact with Indraprastha Gas Limited (IGL) for setting up rooftop solar projects in the country. Tata Power is India’s largest integrated power utility, IGL is country’s largest CNG distribution company.